Yoga is meant to unite and connect body, mind, spirit and soul. This can be reached by doing asana’s (body positions). Originally, asana's were meant to build fysical and mental power, to sit comfortably and quietly for longer time in meditation. Meditating literally means to come to your own center, and this is exactly what you want to learn, on the path to health. There you find the power and wisdom to become who you really are. We use pranayama (breathwork) to make contact with our feelings, and to come to the now. This is not about dominating or forcing the breath, but about being in contact with it.By being aware and giving space to what is there. Yoga gives you the feeling of balance and harmony. You feel calm, more focussed and the inner chatter stills. Fysical complaints can deminish or even disappear. Yoga is available for everyone who wants to feel better fysically, mentally, emotionally or spiritually. You don't have to be flexible or strong. Yoga helps you to become stronger or more supple. By using the right body alignment, you can help your fysique in her natural recovery. Both fysically and emotionally, you can become more aware and in contact with blokkades, and release them. 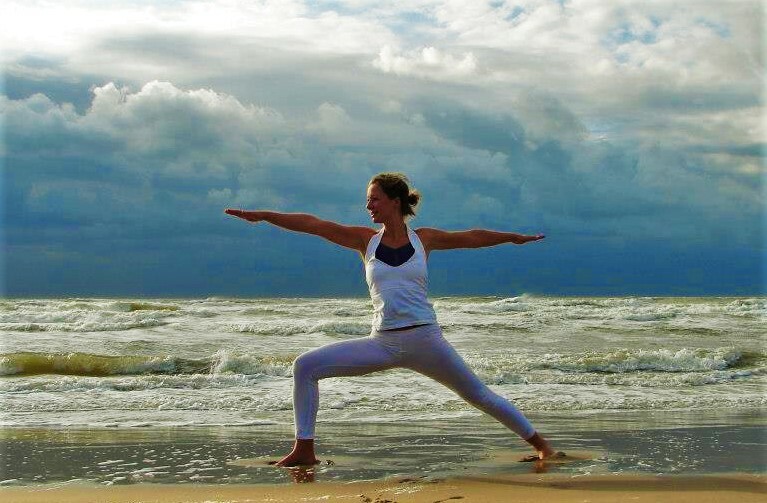 Individual yoga gives you more personal attention, and therefor deepens and strenghtens the therapeutical working. Individuele yoga is tuned into your specific needs and wishes. It focusses on your personal development. It can be directed to body, spirit, heart or soul. This way I can help you to become more fit and we can work on specific fysical problems or injuries. Or to bring the thinking (ego) to a lower level and to feel better. We can ask our body to heal itself. You can contact your feelings, which will lead you to wholeness and enhance your natural healing power.